The BHS Bookshop offers the Society’s own publications, books which are not widely available elsewhere. They are not individual haiku collections, but instead commentaries, analyses and appreciations of the art and craft of haiku. They include many examples of haiku old and new. Following in the footsteps of R.H. Blyth’s famous commentaries on Japanese haiku, this unique British anthology combines appreciation, analysis and imagination, initiating the “unfolding process of discovery” that takes us deeper into the meaning of haiku. Features 366 haiku and senryu by 71 poets, each with a short paragraph of commentary. A reprint of this successful selection of extracts from the works of the great British haiku scholar who became tutor to Crown Prince (later Emperor) Akhito. Among the selections are Blyth’s commentary on Basho, Issa, poetry as everyday life, the place of haiku in world literature and haiku as an aspect of Zen. Published by the BHS to celebrate its twenty-fifth anniversary, this collection of critical and explorative essays is selected from the Society’s quarterly journal, Blithe Spirit. 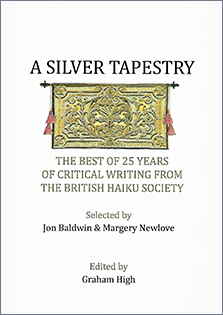 Features fifty essays by fifty authors who have made significant contributions to English language haiku and its appreciation including David Cobb, Ken Jones and Martin Lucas. 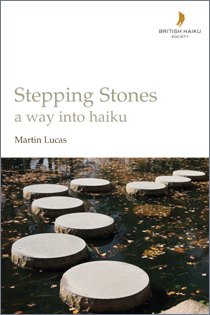 Commentaries cover the art of haiku and other forms from tanka to haibun. The distributor for BHS books is Snapshot Press, whose collaboration we gratefully acknowledge. Snapshot Press offers a wide range of anthologies, individual poets’ collections, and chapbooks as well as BHS books. Please CLICK HERE to connect with the Snapshot Press website to order BHS books. *NOTE: Price is for delivery in the UK including postage and packing. Costs for delivery in Europe or Rest of the World incur different prices, given on the Snapshot Press website. Retail bookshops and libraries may order by ISBN directly via Nielsen, Gardners, Bertram. 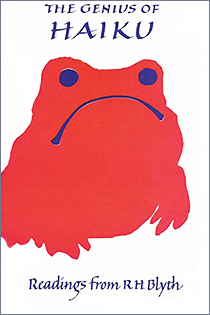 The British Haiku Society is a registered charity and non-profit organisation. BHS books are published as a service to promote haiku. Any profits from sales of books are used to support the Society or towards future publications. All views expressed on The British Haiku Society website are the views of the authors and contributors. They do not necessarily reflect the views and opinions of The British Haiku Society.